We are a horticultural, non-profit society devoted to Begonia plants. We are based in Massachusetts, serving several New England states, the U.S. and the world. Please click on the headers at the top of our web pages to move through our site. If you have any questions about our society or our website, please don't hesitate to contact us by clicking here or clicking on the Contact Us link found on the menus at the very top of this web page. Our President, Betsy Szymczak, has written a brief report for the three Flower Shows she participated in these past few weeks (Feb. - March 2019). The report includes the Connecticut, the Philadelphia, and the Boston Flower Shows, with photos. Our Large Bay Window Exhibit at the 2019 Boston Flower Show won a Blue Ribbon!! December's Holiday Potluck Luncheon held in conjunction with the New England Gesneriad Society was great fun, and we thank Stuart for hosting this at his home, and allowing us to wander thru his warm and inviting greenhouse on a cold rainy December day. For some pictures from this event Click Here. In 2018 we Celebrated our 80th Anniversary!! To view photos of our October 6, 2018 Anniversary Celebration that included a private tour of Logee's, and a luncheon at The Inn, Woodstock Hill, CT please CLICK HERE. Our meetings are held from 10AM to 12noon in the Community Room to the right of the entrance door of the Framingham Public Library, Christa McAuliffe Branch, 746 Water Street, Framingham, MA. 01701. We typically open the conference room at 9:30 to set up, sell plants and share a refreshment, prior to the start of our meeting. NOTE: Click here for findings by Mike Mack, presented at our November 2018 Meeting, on preventing mealybugs through a successful and less noxious way. 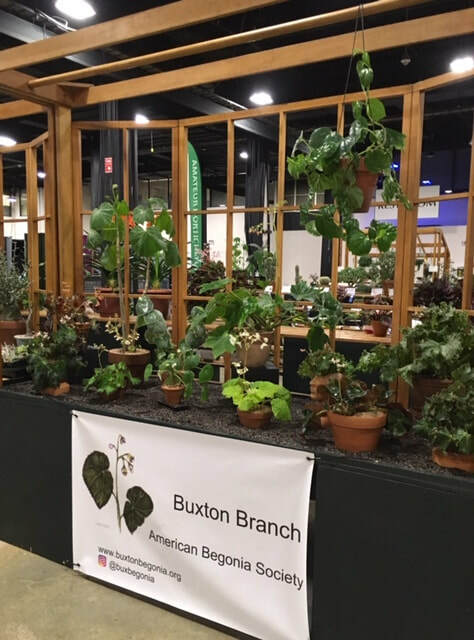 ​Our 2018 Annual Begonia Show and Plant Sale was a Great Success!! Thanks to everyone who entered their plants in the show, volunteered to help us, as well as purchased our plants. We had a record number of entries, 28 cultural certificates, seventeen division awards and 56 blue ribbons. Four novice growers entered nine plants and won two division awards and seven blue ribbons! One entry was a B. 'Erythrophylla' that was over 50 years old! Here are some pics of our 2018 Best In Show, Best Rhizomatous, Best Contained Atmosphere and People's Choice Award Winner, for Begonia baik, grown in a terrarium by Darrin Norton. 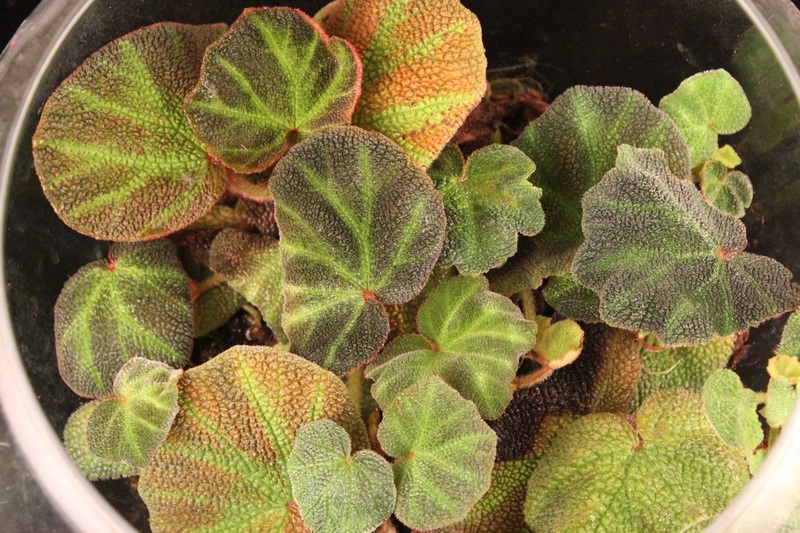 At our monthly meetings, one of our begonia expert growers brings in one plant, and describes its background or history as well as their specific experiences growing it. Click here for past plants. 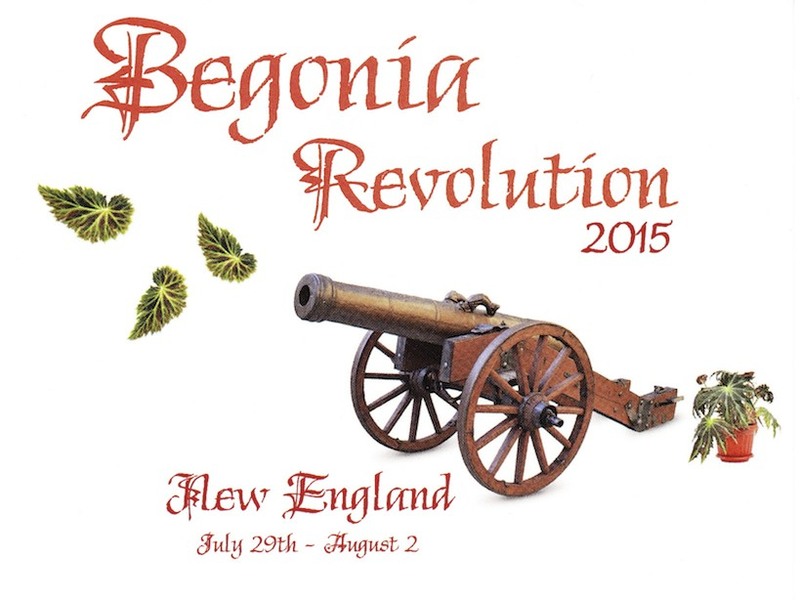 Our branch hosted the Annual American Begonia Society Convention that ran from July 29 thru August 2nd 2015 in Framingham, MA! Click here for photos of the Convention Plant Show and Plant Sale Rooms. Check out our Events Page by clicking here or on the Events link at the top of our web pages.